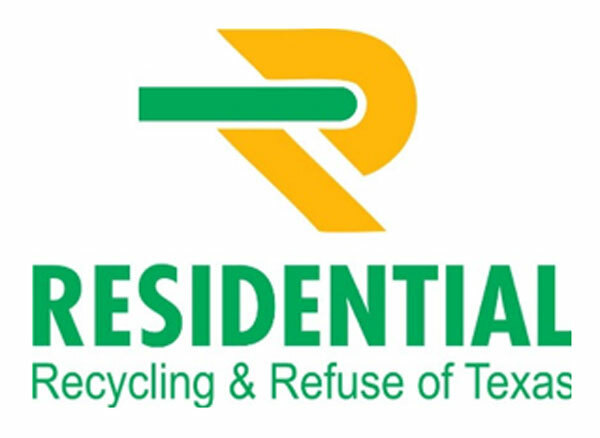 Residential Recycling & Refuse of Texas is honored to have you as a new customer. Our main goal is customer service and doing the task right. If we ever fall short of your expectations please give our office a call at (346) 248-5222 and let us know. We will work hard to ensure your satisfaction. Residents must provide their own trash container – any size, shape or color is acceptable. Trash service days are Monday and Thursday. Items must be placed curbside by 7:00 am. Yard waste, and bulk items will be collected curbside. All trash and yard waste should be placed in sturdy plastic bags weighing no more than 40 pounds each. All branches and tree trimmings should be no more than 3 inches in diameter and no longer than four (4) feet in length. Bundles must be securely tied and weigh less than (40) forty pounds each. Bulk items/heavy trash will be picked up on Monday and Thursday. There is a limit of one item per household per pick up day. Excluded items: It is illegal to transport any hazardous waste in a trash truck and dispose of it in a landfill. Hazardous waste includes: medical waste, toxic or radioactive waste, any appliance containing Freon, acids, car batteries, dead animals, and chemicals of any kind, car parts, car tires, and construction trash (includes concrete, large quantities of carpeting, fencing, rolls of carpet or any construction type material or debris). Other excluded items include: Large pieces of glass (must be broken down in smaller pieces and placed in a closed box and labeled), metal items. Any CFC (Freon) item must be properly tagged by certified technician that all Freon has been properly removed in accordance with the Federal Clean Air Act regulations. If items are not tagged, they will be left at curb. Bulk items which are too large for Contractor to put in with the normal weekly pickup may be collected separately upon request. Party requesting service will be billed separately at a negotiated price depending on size, quantity and handling required to remove and dispose of item(s). Holidays observed are: New Year’s Day, Memorial Day, Independence Day, Labor Day, Thanksgiving Day and Christmas Day. If an observed holiday falls on a regularly scheduled service day, there will be no service that day. Service will resume on the next scheduled service day following the holiday. Please feel free to contact our office should you have any questions, concerns, or comments. RRRTX will provide each home with one 18-gallon open recycling bin. If this container is not large enough, you may use ANY type of container that has a recycling emblem or one of our recycling emblem stickers which you can get upon request from our office (346-248-5222). Recycling service will be curbside every Thursday. Items must be curbside by 7:00 a.m. There is no need to sort your recycling items – all items can go into the same recycling container (not the trash container). No black bags will be accepted for recycling items. Thin plastics – newspaper covering, dry cleaning covering, plastic grocery bags, etc. Again we thank you for the opportunity to service the recycling needs of your community. Thank you for caring for the Texas environment enough to be a part of a recycling program. We realize how busy life can get and greatly appreciate the time and effort you take to recycle. We feel certain our service will be above and beyond your expectations. RRRT strives for excellent customer service and management encourages you to call with questions, comments or concerns. We can be reached at 1-346-248-5222 or info@rrrtx.net.